July 17, 2014 Issue 5. MSC launches the Search for MSC Outstanding Alumni! 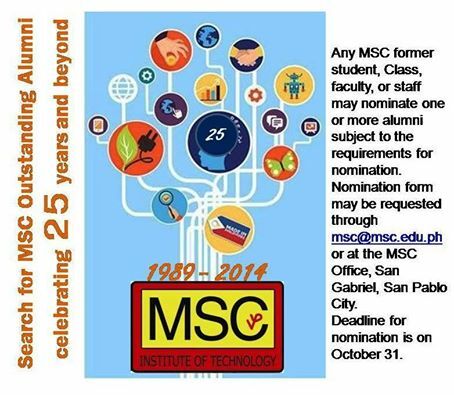 In celebration of MSC @ 25 years of commitment to technological education, MSC wishes to honor outstanding former students who have succeeded in their fields of endeavor. 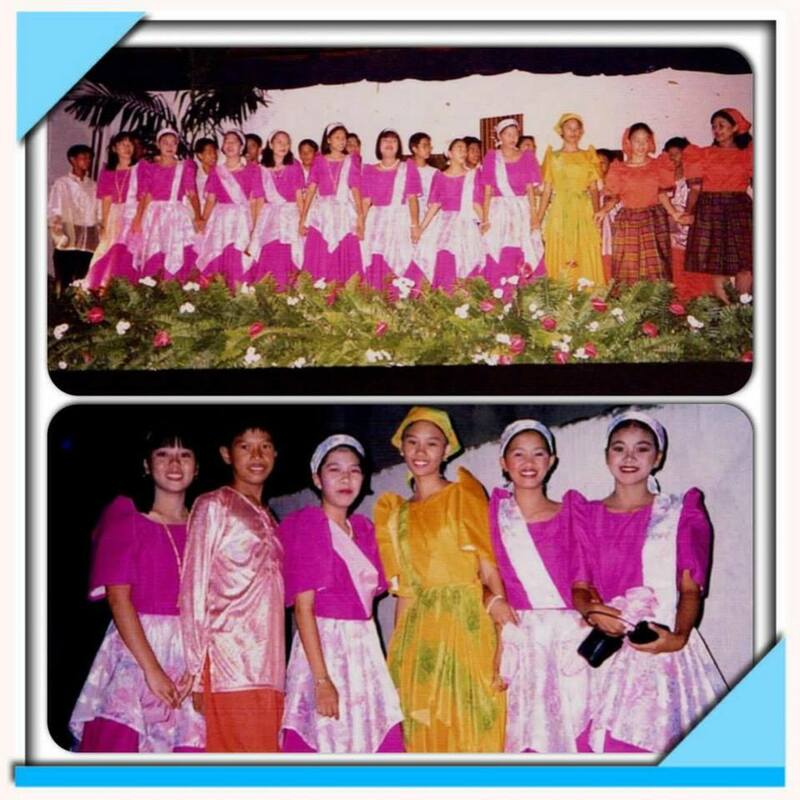 In response to the the call to relive the MSC experience via Facebook, Eusebia Chrissevi M. Marasigan sent pictures including photos from the MSC 10th Foundation Day Celebration, recognition day, class pictures and the Junior Senior Prom! VYP MSC Institute of Technology is among the 277 colleges and universities in the Philippines included in the World Ranking Web of Universities, according to the Cybermetrics Lab, a research group belonging to the Consejo Superior de Investigaciones Científicas (CSIC), the largest public research body in Spain. MSC ranked #49 overall, and #21 in terms of web presence in the Philippine Top 100 Colleges and Universities on the Web. MSC is number 49 in the Philippine Top 100 Colleges and Universities according to Cybermetrics Lab of Spain. Next easiest technique after Multiplication by 11, is multiplication by 2. Multiplying a number by 2 is also called doubling. Doubling may be done by adding a number to itself but it is easier to apply the “times two” table that we have learned by heart. Let us call 0, 1, 2, 3 and 4 “small digits” and 5, 6, 7, 8 and 9 “ big digits”. I am sure that there will be no problem in doubling the small digits into 0, 2, 4, 6 and 8 respectively. This entry was posted in MATH-Inic, MSC, Newsletter and tagged 25 MSC, 25 MSC Newsletter, 25th Foundation Day, doubling, Math short cuts, MATH-Inic, memory techniques, MSC, multiplication by 2 on July 21, 2014 by mscadmin.